Amtrak officials have finally committed to renaming Philadelphia's 30th Street Station after the late Congressman William H. Gray III – a move mandated by Congress three years ago. U.S. Sen. Bob Casey announced the news on Friday after meeting with Amtrak's incoming chief executive officer, Richard H. Anderson, who takes the reins in January. An Amtrak spokeswoman confirmed the commitment. "I was encouraged by my recent meeting with Amtrak leadership about Philadelphia's 30th Street Station," Casey said in a statement released afterward. "For the first time, Amtrak has committed to implementing the 2014 federal law renaming the station in honor of the late Congressman William H. Gray, III." Three years ago, President Barack Obama signed a U.S. House resolution directing Amtrak to rename the railroad station after Gray, who became the nation's highest-ranking African American elected official when he was named majority whip in 1989. But Amtrak has yet to rename the station, which opened in 1933. It services both Amtrak and SEPTA trains. Amtrak spokeswoman Kimberly Woods said Anderson and Casey discussed "the advancement" of renaming the station after Gray. "We look forward to working with stakeholders and interested parties in the coming weeks to move this important effort forward," Woods wrote in an email. Casey's statement did not offer specifics on when the name change will go into effect. "While there is still a long way to go, I look forward to working with Amtrak and the broader Philadelphia community to appropriately honor Bill Gray's legacy," Casey said. Last week, Casey joined local politicians at a press conference within the station, where they called on Amtrak to make the name change. They pointed to Gray's role in securing infrastructure improvements to the station and boosting federal funding for the railroad. 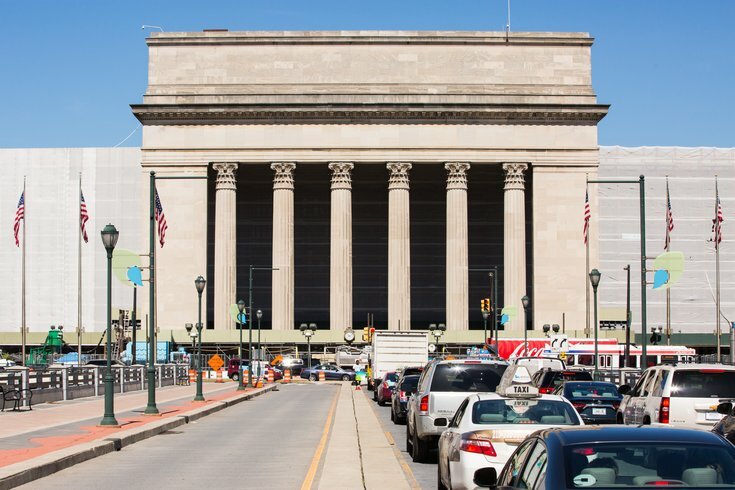 "These investments allowed Amtrak to make 30th Street Station an anchor of economic development in Philadelphia and Southeastern Pennsylvania," state Rep. Curtis Thomas, D-Philadelphia, said last week. "We will not accept continued delay or deferment." Gray served in Congress from 1979 to 1991, representing Pennsylvania's Second Congressional District. He also was a longtime pastor at Bright Hope Baptist in North Philadelphia. In recent years, SEPTA has changed the names of two of its most prominent stations. About three years ago, the Market East Station in Center City was renamed Jefferson Station in a multimillion-dollar deal with Jefferson Health System. In 2010, the Broad Street Line subway stop at the stadium complex was changed from Pattison Station to AT&T Station.